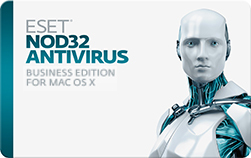 The Business Edition of ESET NOD32 Antivirus Licence can be used on both Windows or Mac. NOD32 is an incredibly scalable solution, accommodating businesses with anywhere from five to hundreds of thousands of employees. Pictures for guidance only, model may vary. *For Mac OS X 10.5.x (Leopard), Mac OS X 10.6.x (Snow Leopard) and newer.